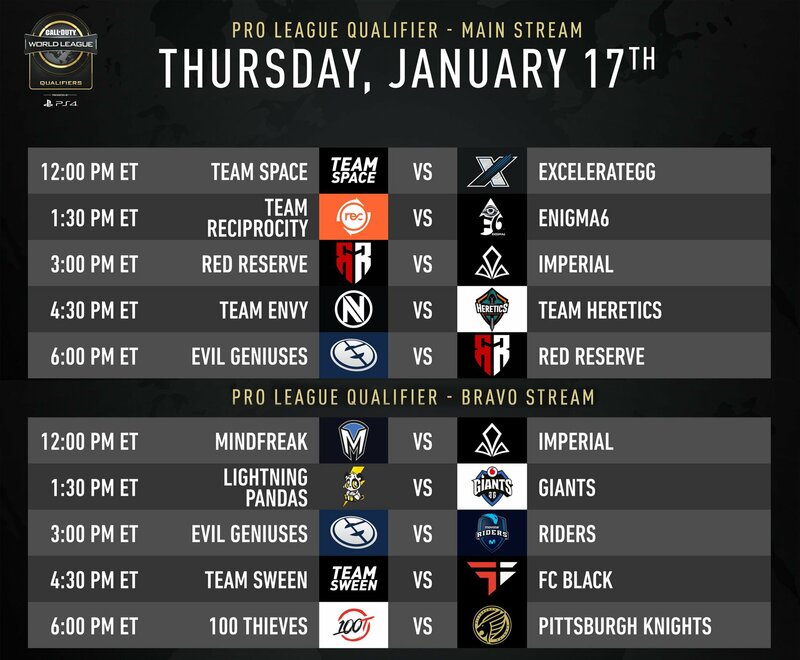 Day 1 of the Call of Duty Pro League Qualifier has completed. There are a total of 28 teams competing for 12 spots in the Call of Duty World League that will take place from February to July. 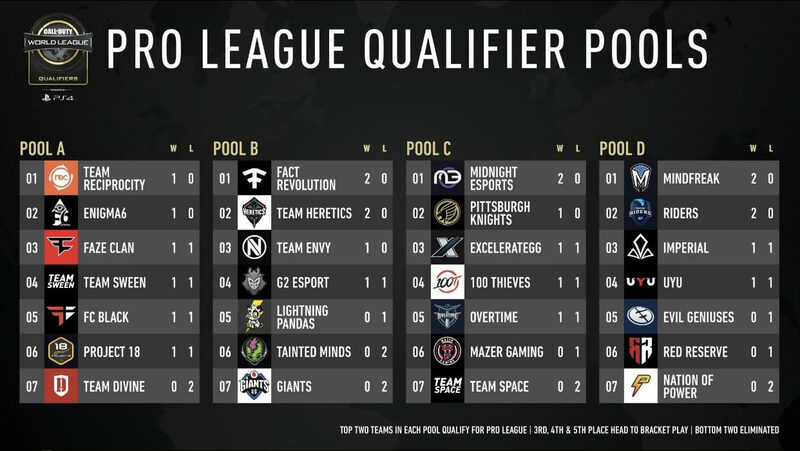 Prior to the tournament the top 4 teams from Call of Duty Las Vegas clinched their spots. The pre-qualified teams were OpTic Gaming, eUnited, Splyce and Luminosity Gaming. All gameplay can be found on the official Call of Duty Twitch channels.